Could this be the LG flagship expected in April? 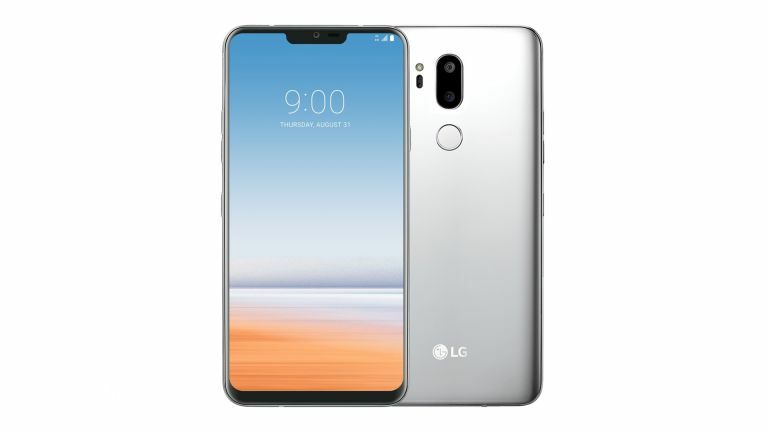 The LG G7 flagship phone appears to have leaked online in the form of a 360-degree render showing off the handset complete with an iPhone X style top-notch. The G7 render is shown off in a 360-degree video on TheMrPhone but carries more weight since it was tweeted by reliable leakster Steve Hemmerstoffer. Previous leaks of the G7 have pointed towards a top-notch and sure enough it’s included here. The new renders also show off a dual rear camera above a fingerprint reader. The handset itself features a drilled speaker, USB-C and headphone jack in a metallic frame. That display appears to run edge-to-edge, hence the top-notch housing the front-facing camera and sensors. The LG G7 is expected to run a Qualcomm Snapdragon 845 CPU backed by 6GB of RAM and 128GB of storage. While the display size hasn’t leaked yet murmurings suggest we can expect at least a 6-inch screen. Rumours suggest LG will unveil the G7 in April or May time but expect to hear plenty more leaked out before then.